With 20 parliamentary constituencies and 140 Assembly constituencies, the southern state of Kerala is gearing up for an important election year. The 2019 General Elections will see a three-way clash between the ruling Communist Party of India (Marxist) (CPM), Congress and Bharatiya Janata Party. 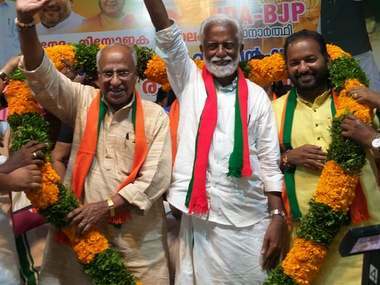 While the CPI-led Left Democratic Front (LDF) and Congress-led United Democratic Front (UDF) have footing in the state’s Lok Sabha constituencies, the BJP is planning to make inroads in at least two seats. 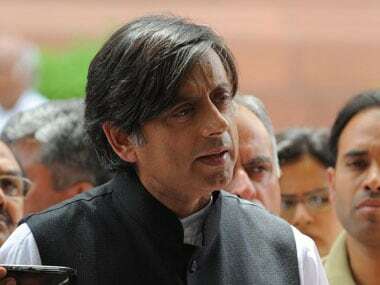 Riding high on the Sabarimala protests, BJP plans to field Kerala BJP chief Kummanam Rajasekharan against two-time Congress MP Shashi Tharoor from the Thiruvananthapuram. During the Sabarimala agitations, after the Supreme Court verdict allowing women into the temple, party workers were at the forefront preventing women from entering the temple. The saffron party is also hopeful of consolidating the Hindu votes in its favour. It is also hopeful of winning Thrissur seat by winning over the Nair community. Kerala faced one of the worst floods in its history in August last year when over 300 people lost their lives. According to the 2011 Census, the state has a population of 33,387,677, of which 52.3 percent live in rural areas. Although the state has a Hindu majority, it has a sizeable minorities population. Around 26.56 percent of the population are Muslims and 18.38 percent are Christians, according to the 2011 Census data. The state has for decades been a battleground for the left and the right parties. The battle has left a trail of political murders over time. The LDF, the UDF as well as the BJP are likely to evoke voter sentiments by bringing up the murders during campaigning. Another campaigning point this election is the visibility of women. Although the number of women electors is more than that of men, there are only two women MPs in the state. Results in last four Lok Sabha elections: Congress party’s VM Sudheeran won the constituency in 1999 when it was called Allepey. In 2004, KS Manoj from CPI(M) was elected MP from the constituency. State Congress general secretary KC Venugopal won the election in 2009 and 2014, now called Alappuzha. 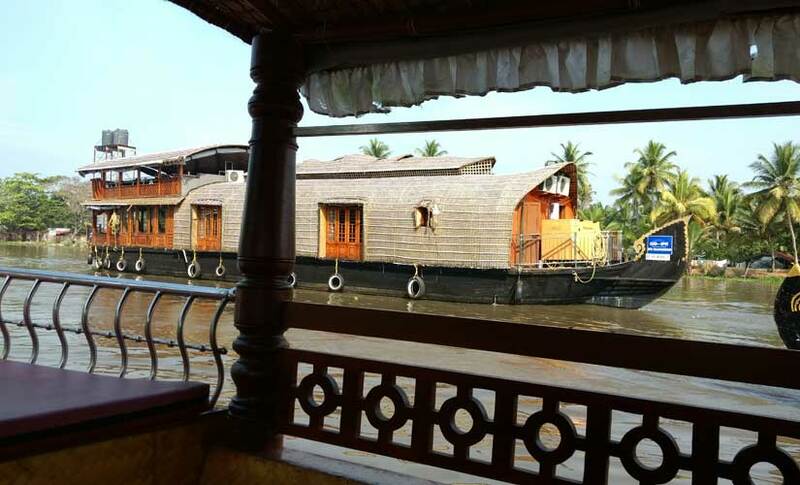 Demographics: According to the Census 2011, Alappuzha has a population of 21,21,943. It was one of the worst-hit victims of the heavy rains and floods in August last year. Earlier, the district was recognised as a flood district. It has voted for the Congress for two consecutive elections but party veteran KC Venugopal will not be contesting this year. Delimited: Yes. The erstwhile Ottapalam constituency was dissolved in 2008. Its constituencies Chelakkara, Kunnamkulam and Wadakkancherry were added to the newly formed Alanthur constituency. Results in last four Lok Sabha elections: Since the formation of this constituency, the CPM has held sway. PK Biju has been the elected MP since 2009. Demographics: Spread over the Thrissur and Palakkad districts, the constituency has been a CPM bastion from its Ottapalam days. Former President of India and Congress member KR Narayanan had been a three-time MP from Ottapalam. The LDF has decided to field sitting MP PK Biju from Alanthur. Results in last four Lok Sabha elections: A Sampath of the CPM has been the sitting MP since 2009. Demographics: This has been a Left stronghold even before it came into existence in 2008. Prior to the delimitation exercise, this constituency was called Chirayinkil. Attingal has a significant working-class population. The population in Attingal includes estate workers in the hilly regions and coir workers and fishermen in the coastal regions. Delimited: Yes, formed in 2008. The Mukundapuram constituency was dissolved as part of the delimitations of constituencies order, 2008. 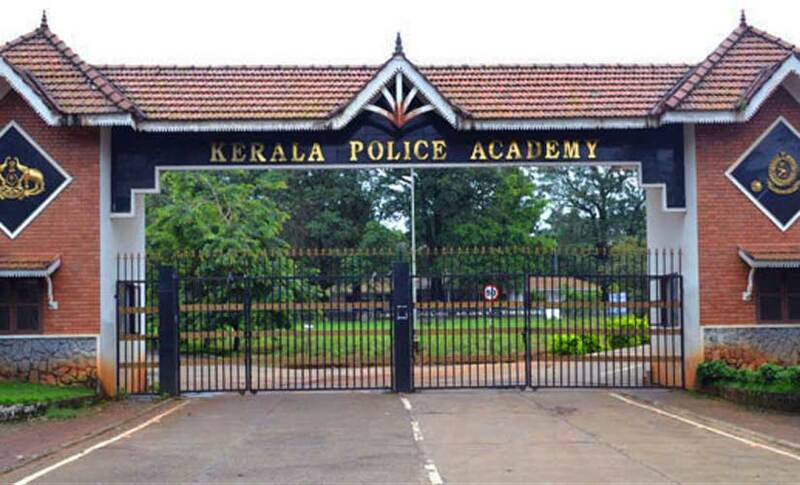 It became an assembly segment in the newly formed Chalakudy constituency. Results in last four Lok Sabha elections: KP Dhanapalam of Congress won the first Lok Sabha election for the constituency in 2009. Thereafter, independent candidate Innocent won the election in 2014. Demographics: Of the seven segments in this constituency, three falls under the Thrissur district and four under the Ernakulam district. While Thrissur has a population of 32 lakh, Ernakulam has a population of 33 lakh, according to the 2011 Census. LDF has decided to field film actor Innocent for a second term. Results in last four Lok Sabha elections: In 1999, Congress candidate George Eden was elected MP. In 2004, independent candidate Sebastian Paul was successful. After that, Congress held sway over this constituency. Both in 2009 and 2014 Congress candidate KV Thomas was elected MP. Demographics: The Latin Catholic community is influential in this constituency. They form at least half of the population here. Their influence can be gauged by the fact that the UDF and LDF, the two biggest formations in Kerala politics have always selected candidates belonging to this community. Results in last four Lok Sabha elections: Leader of the Kerala Congress (KEC) in 1999, F Francis George was elected MP from this constituency in 1999 and 2004 elections. Then Congress party member PT Thomas won the election in 2009. In 2014, independent candidate Joice George won a 46.60 majority and won the election. Demographics: Idukki is part of what is called the "Christian heartland" of Kerala. It is noted that this constituency has only elected Christian candidates since 1971 elections. The constituency is also known for its significant plantation workers, many of whom are of Tamil origin. Results in last four Lok Sabha elections: In 1999, AP ABdullahkutty of the CPM won the election. He was re-elected in 2004. In 2009, Congress tasted success when candidate K Sudhakaran won the election. But CPM made a comeback in 2014 with the win of PK Sreemathi Teacher. Demographics: Kannur has been garnering media attention for the political violence between the RSS and the CPM. Kannur is one among the many constituencies where the BJP is looking to make inroads in the aftermath of the Sabarimala verdict. Results in last four Lok Sabha elections: The CPM holds fort in this constituency since the 1999 Lok Sabha elections. While T Govindan was the MP in 1999, P Karunakaran has been a three-time sitting MP since 2004. Demographics: Kasaragod, which lies on the border with Karnataka, has a sizeable Muslim population as well as a significant linguistic minority who belong to the Tulu speaking community. Kasaragod is often considered a part of Tulu Nadu, which also includes Karnataka's Mangalore and Udipi. Delimited: Yes. In 2008 Quilon constituency became Kollam. While Kunnathoor and Karunagapalli segments were removed, Punalur and Chadayamangalam segments were added to the newly formed one. Results in last four Lok Sabha elections: P Rajendran of the CPM was elected MP from the Quilon constituency in both 1999 and 2004. Congress party’s N Peethambarakurup won the election in 2009. NK Premachandran from the Revolutionary Socialist Party (RSP) defeated CPM heavyweight MA Baby to win the seat in 2014. Demographics: It is a considered a swing constituency which can go either to the LDF or the UDF. It has a sizeable population of plantation workers as well as a strong fishing community. Cashew industry is a significant player in this constituency. Results in last four Lok Sabha elections: While in 1999, Congress candidate M Muralidharan won the election, in 2004 it was MP Veerendra Kumar from the Janata Dal (Secular) who was elected MP. Since 2009, Congress leader MK Raghavan has been the sitting MP here. In 2009, Raghavan beat CPM candidate PA Mohammed Riyas by a mere 838 votes. Demographics: Kozhikode is largely an urban constituency, where development issues play an important role. In the wake of the Sabarimala protests, the BJP is expected to grab a significant chunk of Hindu voters, as per reports. Delimited: Yes. In 2008, the erstwhile Manjeri constituency was dissolved and merged into the newly formed Malappuram constituency. Results in last four Lok Sabha elections: In both 2009 and 2014, E Ahamed from the Indian Union Muslim League (IUML) won the election. Demographics: Once the headquarters of the British and European troops, this district also falls in the Malabar region. The district has a Muslim majority. Almost 70 percent of the 4,110,956 people living here are Muslims. The IUML, which is the second largest part of the UDF, has managed to consolidate its place by wooing the majority population. Delimited: Yes. In 2008, Kunnathur from the erstwhile Quilon constituency was merged with Mavelikkara. Results in last four Lok Sabha elections: Ramesh Chennithara from Congress was elected as MP from here. In 2004, CPM won the seat. Candidate CS Sujatha was the MP. Congress made a comeback when Kodikkunnil Suresh won the election in 2009. He won the seat again in 2014. Demographics: Spread across the Kottayam, Alappuzha and Kollam district, this constituency has been a Congress bastion for two terms. The UDF plans to field sitting MP, BJP is trying to make an entry into the constituency. Results in last four Lok Sabha elections: The CPM has held this constituency since 1999. While NN Krishnadas was two-time MP since 1999, MB Rajesh won the seat in 2009 and 2014 elections. Both belong to CPM. Demographics: According to the 2011 Census, around 2,810,892 people live in the Palakkad district. While around 66 percent of them are Hindus, around 28.9 percent are Muslims. The constituency has been a CPM bastion since 1999. However, BJP, which rules in the Palakkad municipality, is looking to make an entry into the constituency. Party president Amit Shah recently flagged off campaigning from Palakkad. Delimited: Yes. In 2008, the Adoor constituency reserved for Scheduled Castes was dissolved to form a new constituency. Adoor is now an Assembly segment of newly formed Pathanamthitta constituency. Results in last four Lok Sabha elections: In the 2004 elections, Congress candidate Anto Antony Punnathaniyil was elected MP from this constituency. He won a second time in the 2014 elections. Demographics: Pathanamthitta district has a population of 1,195,537, according to the Census 2011. Situated in the Travancore part of Kerala, this district has the highest literacy rate in the state (96.26 percent). Of the total population, 56.93 percent are Hindus and 38.12 percent are Christians. The constituency is witnessing anti-incumbency wave against Anto Antony Punnathaniyil and regional party workers, too, are against Antony’s candidature. The grand old party is mulling pitching veteran leader PJ Kurien. Results in last four Lok Sabha elections: GM Bannatwala won the election in 1999. He was succeeded by E Ahamed. ET Muhammed Basheer has been the sitting MP since 2009. All three candidates belong to IUML. Demographics: Of the seven assembly constituencies, six fall in the Malappuram district. Only Thrithala comes under the Palakkad district. The constituency is a Muslim majority area and has been loyal to IUML. Sitting MP ET Muhammed Basheer will run for a third time in the 2019 elections. The Left Front has fielded sitting Nilambur MLA PV Anwar. The CPM politician took a beating last year after he was accused of illegal construction in a water park. Results in last four Lok Sabha elections: VS Sivakumar from trhe Congress won the seat in 1999. He was succeeded by PK Vasudevan Nair who was from the CPI. Thereafter, Congress took over the constituency with Shashi Tharoor’s win in both 2009 and 2014 elections. Demographics: Thiruvananthapuram has a population of 33,07,284, according to Census 2011. 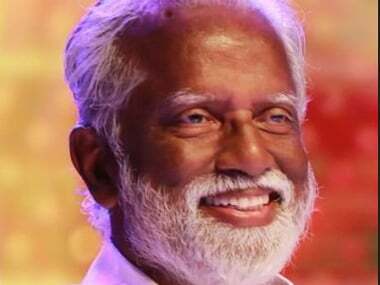 The capital city also has a sizeable population of Nairs, a point that BJP plans to use in its favour by pitching party veteran Kummanam Rajasekharan. He, too, is a Nair by caste and was serving as the Mizoram governor. The Communist party is likely to choose former minister C Divakaran. Results in last four Lok Sabha elections: In the 1999 election, Congress candidate AC Jose was elected MP. In 2004 the constituency was taken over by CPI when CK Chandrappan won a majority. He was succeeded by PC Chacko from the Congress in 2009. In 2014, CPI made a comeback when CN Jayadevan won a majority. Demographics: Thrissur has a population of 31,10,327, with 58.4 percent Hindus and 24.27 percent Christians. Bharath Dharma Jana Sena (BDJS) leader Thushar Vellappally has announced that he will contest the election from this constituency. The BDJS is backed by the BJP, which aims to appease the Ezhava and Thiya community. The BDJS was created with the aim to help develop these communities. Results in last four Lok Sabha elections: AK Premajam from the CPM won the 1999 election and P Satheedevi, also from CPM, won the 2004 electionn. In 2009, Congress took over the seat. Party candidate Mullappally Ramachandran won from the constituency in 2009 and 2014. Demographics: This constituency is spread over Kannur and Kozhikode districts. Over the past decades, voters have swayed between CPM and Congress. In the last two elections, Congress-led UDF held a majority in this constituency. Results in last four Lok Sabha elections: In the 1999 and 2004 elections, Suresh Kurup from CPM was elected MP. In 2009, Kerala Congress (M) took over the seat. Jose K Mani, son of party president KM Mani, won the election in both 2009 and 2014. He was, however, nominated to the Rajya Sabha and the seat is currently vacant. Demographics: Kottayam has a population of 19,79,384, of which 49.81 percent are Hindus and 43.48 percent are Christians. This constituency is the only seat won by Kerala Congress (M) in the state. The party is a part of the UDF and has decided to give the ticket to Thomas Chazhikkadan for the upcoming election. Delimited: Yes. The constituency was formed in 2008. Results in last four Lok Sabha elections: In the 2009 elections, MI Shanavas from the Congress party won the election. Shanavas repeated his feat again in 2014 elections. After Shanavas’ death in 2018, the seat is vacant. Demographics: Considered less developed than its other counterparts in Kerala, the Wayanad constituency is tribal dominated and rural in landscape. Wayanad constituency is dominated by Muslims, with various estimates of their population ranging between 40 to 60 percent. 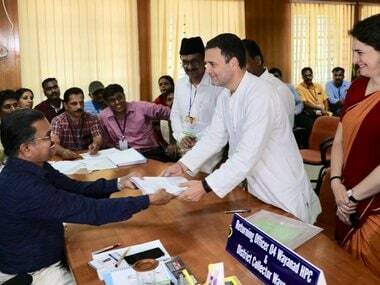 The dominance of minority voters became a point of heated discussion after Congress president Rahul Gandhi was named the candidate for Wayanad.